Expectations going into the OPEC monitoring meeting in St. Petersburg were low. 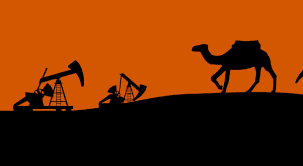 The OPEC agreement to reduce output appeared to be fraying. June output appeared to have increased in several countries, and private sector estimates suggest output rose further in July. Russia expressed reluctance to extend the agreement further. Ecuador announced it would no longer participate in the output restraint. Hopes that Nigeria and Libya, who were exempt from the quota, would cap output were played down in recent days. Initial reports suggest the outcome was better than expected. Saudi Arabia agreed to cut its output further and would limit its exports to 6.6 mln barrels a day. In the first five months of the year, Saudi Arabia exported 7.2 mln barrels a day. Reports suggested the kingdom increased its output by about 50k barrels a day, and many observers though this was in violation of its agreement. However, there are two important points. First, Saudi's output cut was deeper than it had agreed to, so the small increase does not put it out of compliance. Second, Saudi Arabia is one of a few countries that burn oil for electricity. Saudi Arabia's electricity demand rises in summer months as air conditioning use increases. Also, Nigeria has agreed to limit its output to 1.8 mln barrels a day. It reportedly produced 1.6 mln barrels a day in June. It appears Libya may be more willing to discuss a cap after it reached 1.25 mln barrels. Last month's production was seen near 820k barrels. These limits do not pinch output but show that OPEC's output is not unlimited either. The Saudi focus on exports seems to be a new development/emphasis. Between October 2016 and June 2017, OPEC output fell 920k barrels a day. However, exports were only 120k barrels a day less, according to Kpler, a ship-tracking company. This implies that although output has been cut, the amount of oil OPEC is providing to the world has edged only slightly lower. How much it costs to produce a barrel of oil? What price of oil is necessary to balance the external accounts? Of course, the answer varies from country-to-country, but the bottom line is that the low price of oil is still causing fiscal strains on many oil producers, even if their cost of production is lower than the US shale producers, for example. Meanwhile, Saudi Arabia has cut its shipments to the US. The US imported 524k barrels a day from Saudi Arabia in the weekend ending July 14. This is the lowest volume in more than seven years. While trying to reduce US inventories may be the major motivation for the reduced shipments, there may be another factor. Some observers suggest that Saudi's move may be related to the potential US sanctions against Venezuela, its third largest supplier. A cut in Saudi shipments may make it harder for the US to cut purchases from Venezuela. Venezuela has a large debt payment (~$5 bln) due in the fall, and a reduction oil purchases would put additional pressure on the troubled country and has around $10 bln of reserves. The market expects US oil inventory to have fallen by nearly four mln barrels for the week ending July 21. Such a decline would bring the four-week decline to over 20 mln barrels. This would be among the largest four-week draws in the last few years and could be supportive for prices. After some modest follow-through sales after the 2.5% decline before the weekend, the September light sweet crude oil futures contract is recovering. Initial resistance is seen near $46.60-$46.85 and then $47.30-$47.70. If oil prices get much above this secondary resistance, and it would appear to complete a bottoming.